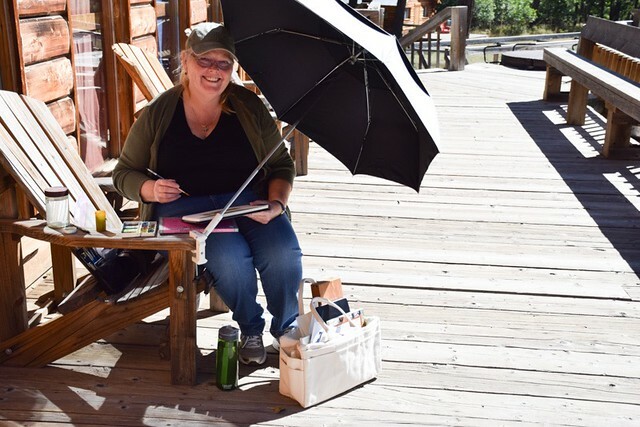 Last week, as part of my "stay-cation", I was honored to be invited by my dear friends, Mary and Winston, to spend time at Sonlight Camp and do some watercolors for them! 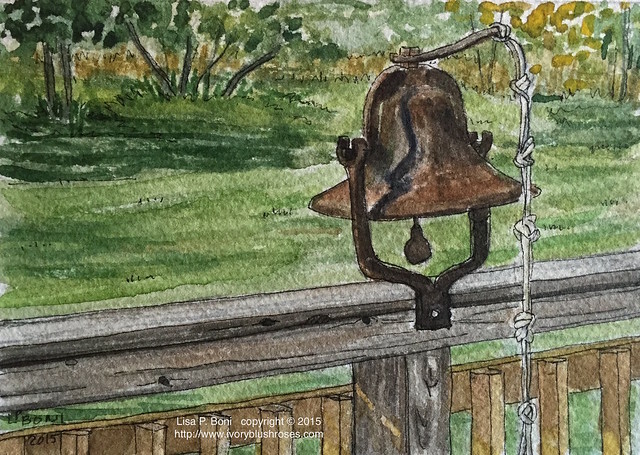 Mary took this photo of me sitting on the deck my first morning there as I painted the dinner bell (pictured below) as a warm-up for the paintings to come! 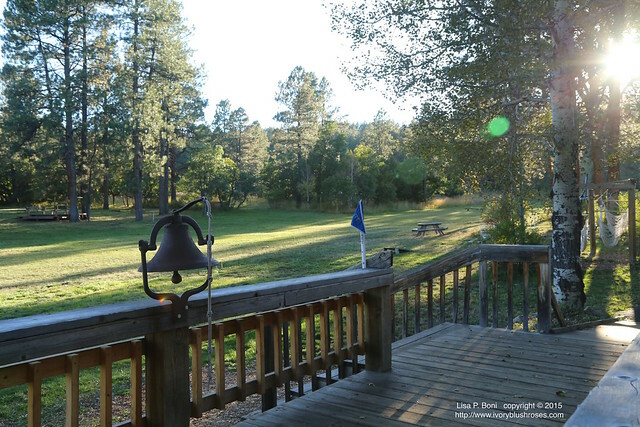 The Dinner Bell is used to call campers to meal times throughout the day and sits on the deck railing overlooking a lovely mountain meadow! 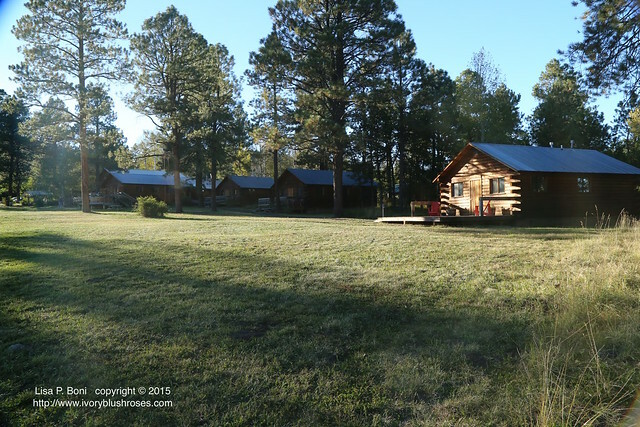 The campers may stay in the main lodge dormitories or in one of three lovely cabins on the property if they aren't out on a backpacking trip through the Colorado Rockies! 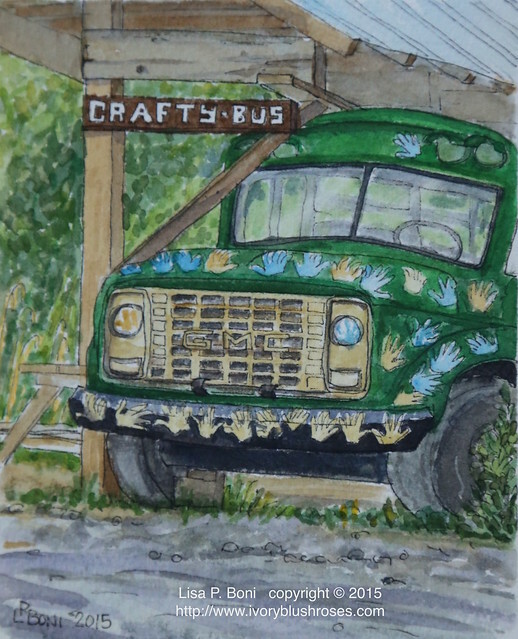 For those not inclined to outdoor adventure, there are crafty pursuits in the Crafty Bus! 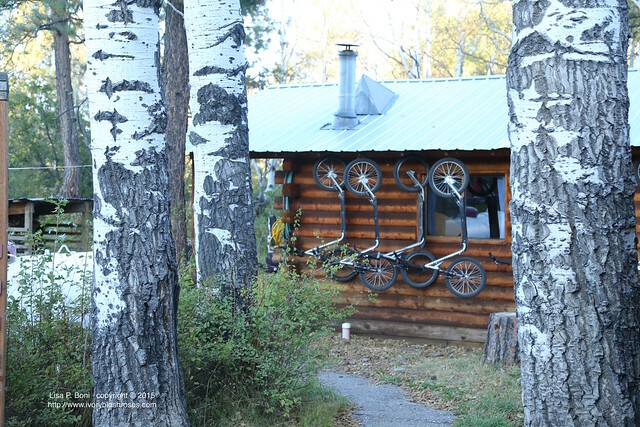 The Entry to the camp is wonderfully welcoming! Here are the first four sketches that I did for them. 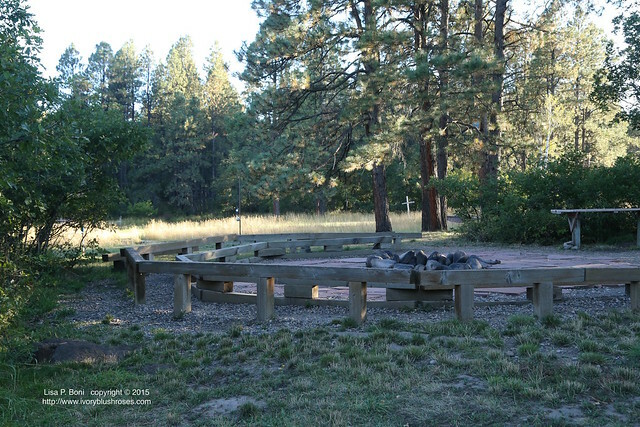 The fire circle is a popular place in the evenings! Here the view looks back to Winchester Cathedral and one of the cabins. 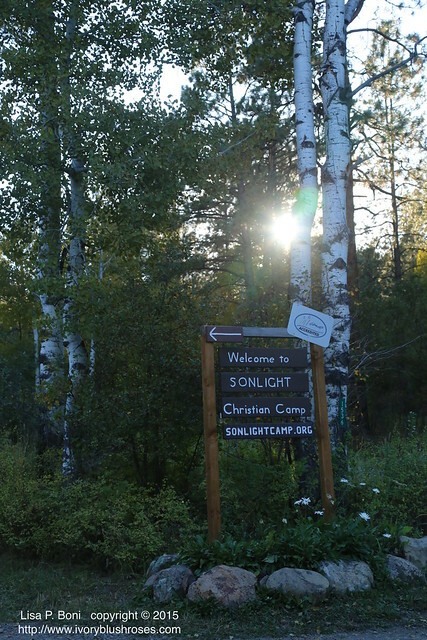 When I drove up and saw the camp's sign, it brought back such memories of the very first time I had the privilege of coming to Sonlight many years before! 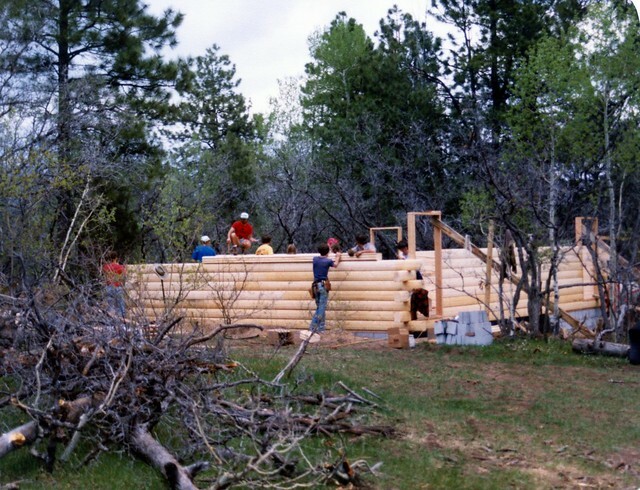 That was back in 1989, when my family and I came down to Pagosa Springs to participate in Sunlight's first Memorial Day Weekend Barnraising. What memories! 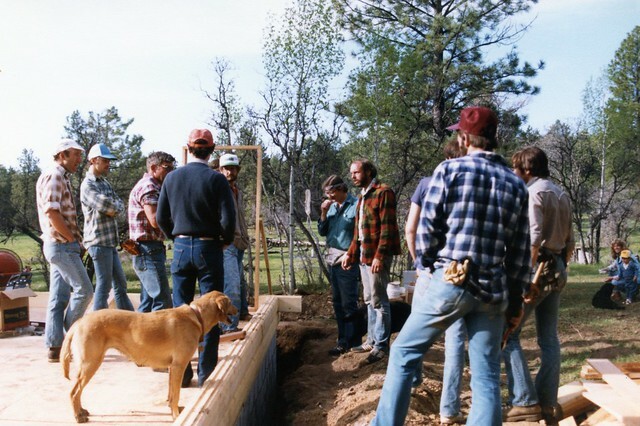 Winston (in the orange plaid shirt) giving instructions to the crew on that first morning of the barn raising. The walls grew with lots of teamwork! 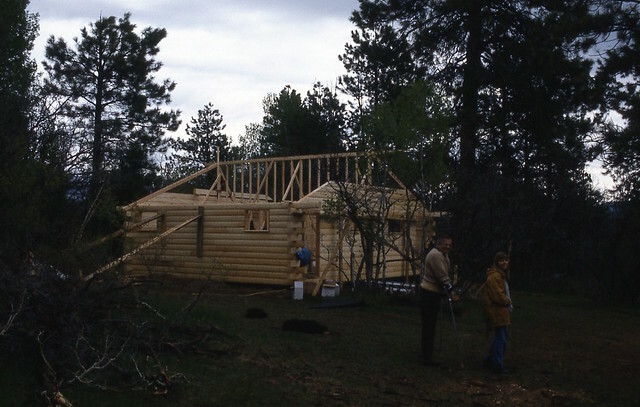 By the end of the weekend, the cabin was mostly up! 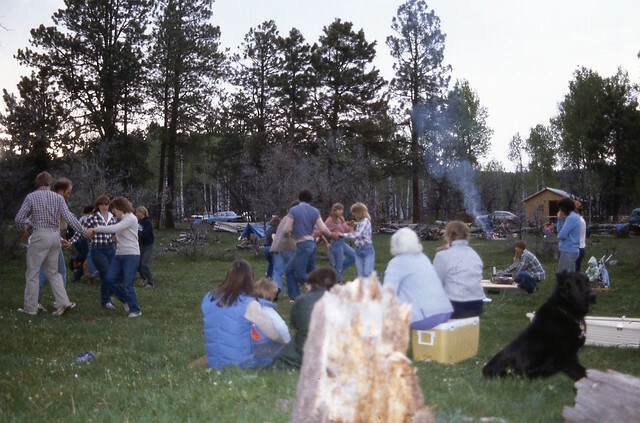 One of my favorite memories of that weekend was square dancing in the meadow in the evening! 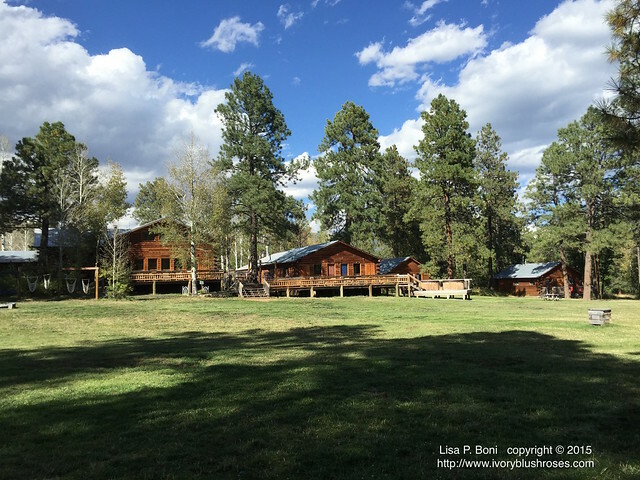 Now of course, the camp looks completely different! The meadow is larger, the buildings have increased, but it's still a magical spot! 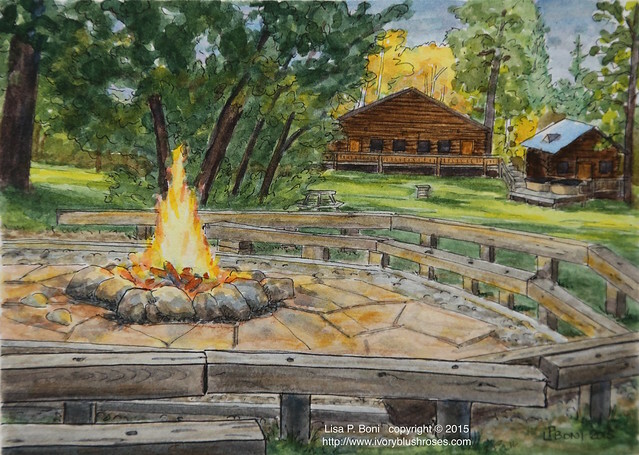 The bath house we built was added on to years later and is the rear portion of the building in the center of this photo. The front is known as Winchester Cathedral, having been named such for Mary's parents who did much to help the camp through the years. 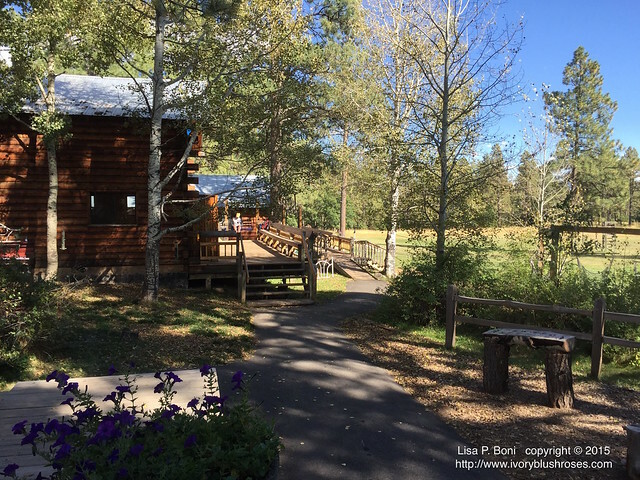 Walking down the entrance path to the main lodge. 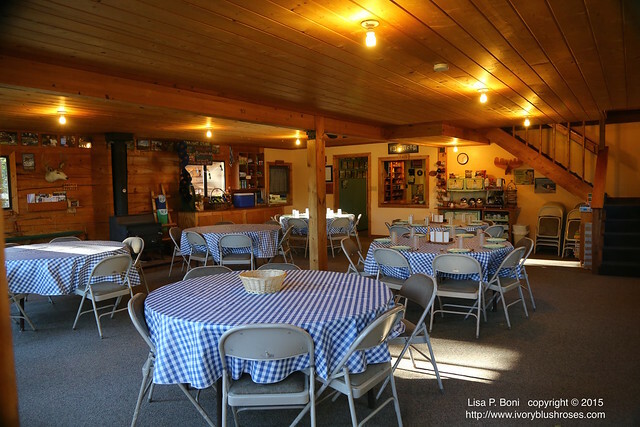 The main lodge contains the dining room, kitchens, staff dining and work space and the camp offices. 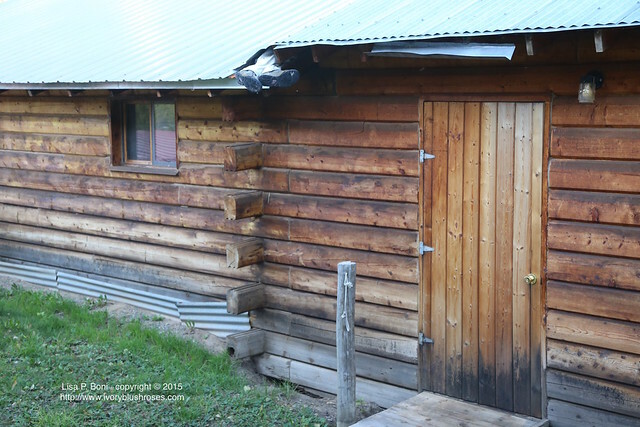 Upstairs there are two large dormitory rooms for campers. From the lower end of the meadow looking up. From the deck of Winchester Cathedral looking out over the meadow. 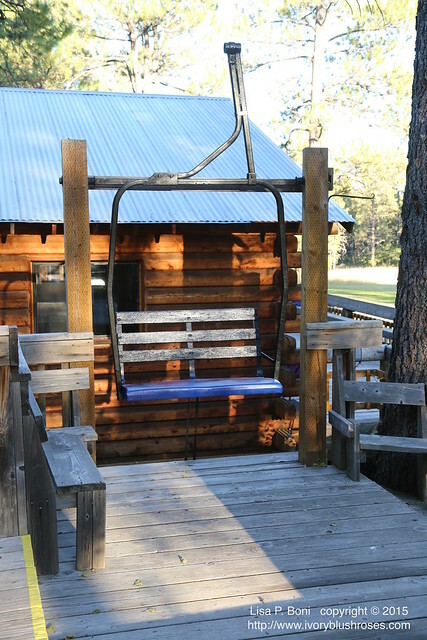 There is seating of many guises all over from benches built into the decks, adirondack chairs, hammocks and several of these old ski lift chairs! During the winter months, Sonlight hosts ski groups who come from all over to ski at Wolf Creek Pass, some of the best powder skiing in all of Colorado if not the world! 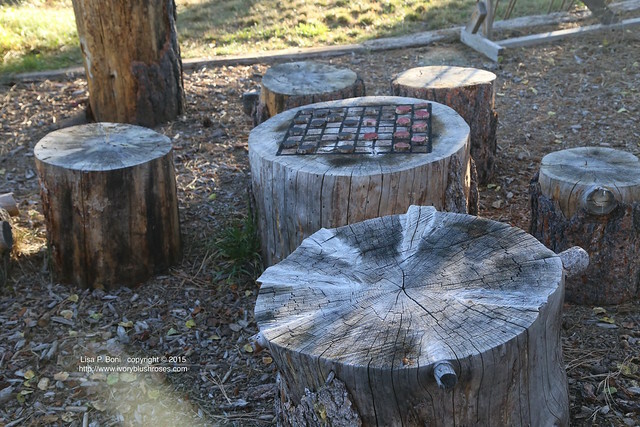 Evenings at camp means time around the fire with plenty of seating for all! So many activities to partake of! Care for a game of checkers? 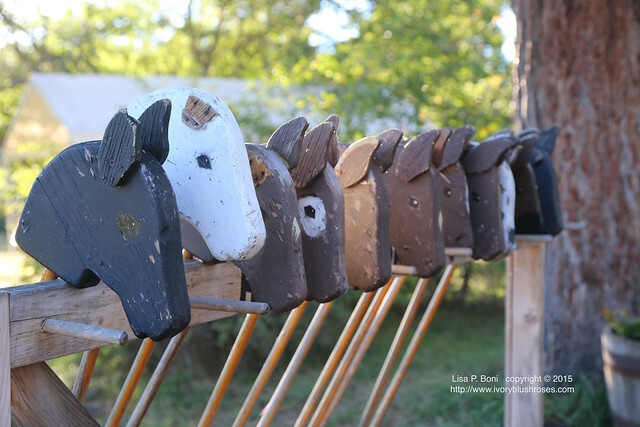 How about some horseback riding? Of the stick variety anyway! 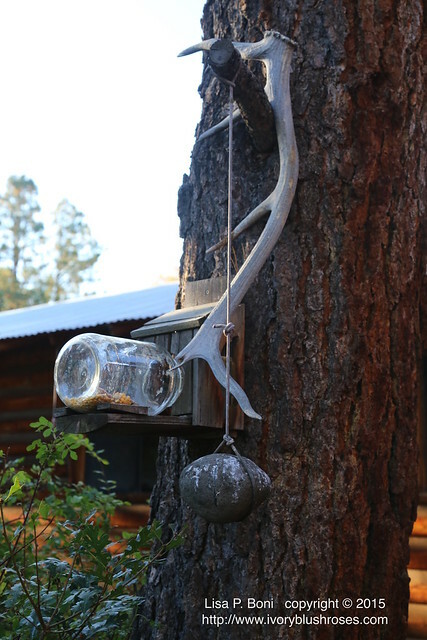 And then there are the touches of whimsy around the camp. Here is the old bath house (still in use as such!) on the left and the side door into Winchester Cathedral. There was a difference of roof height a the join of the old and newer building. 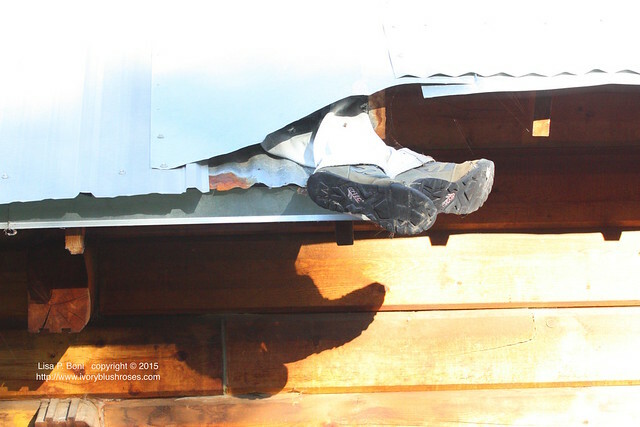 Here is how to make that jog in height a bit more interesting! Then there is the weather rock. If it's wet, it's raining. If in is dry, it isn't. If it's covered in white, it's probably snowing. If it's hanging straight down, it's calm. If it's leaning to the side, it's windy! 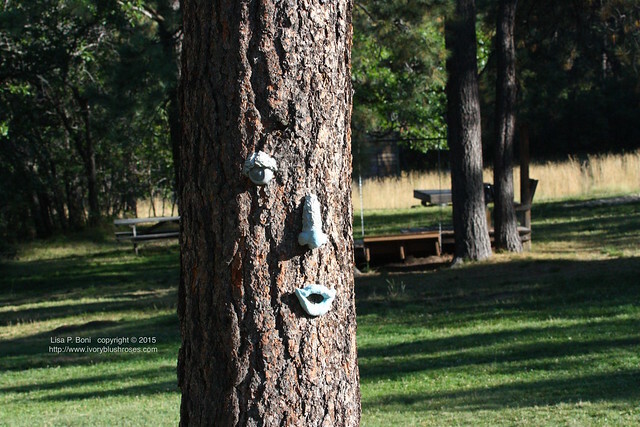 You might find a tree person here and there. 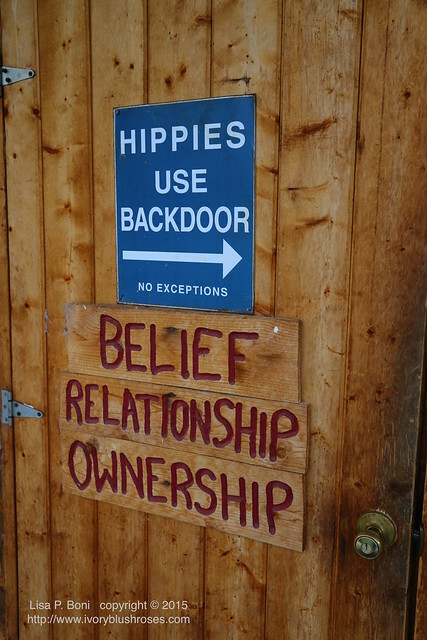 And if you enter the staff door to the main lodge, you'll be reminded that Hippies must use the back door! 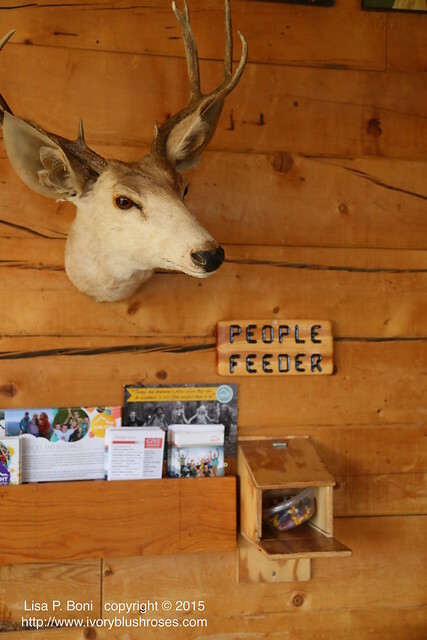 While most places have Bird Feeders, Sonlight has a people feeder! Stocked with Colorado's own Jolly Rancher candies! 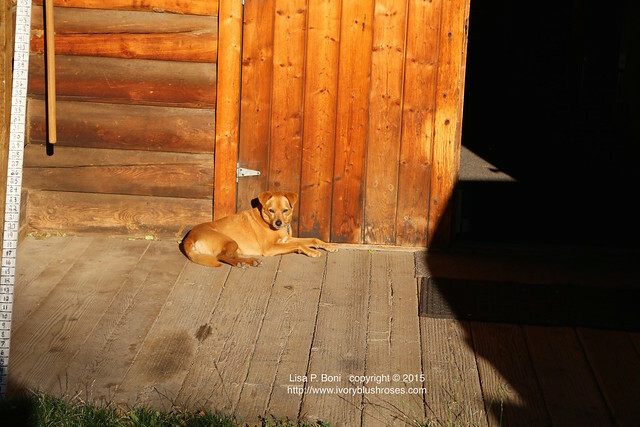 Every camp should have a resident dog and Tope is Sonlight's! Of course I had to do some birding while I was there! 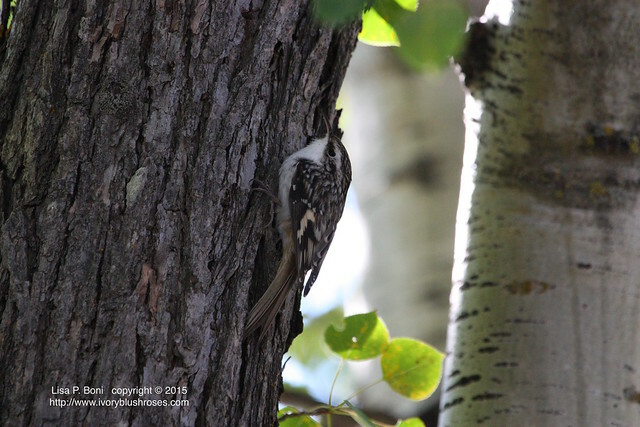 I loved watching this Brown Creeper on the trees. From the back he blends right in! 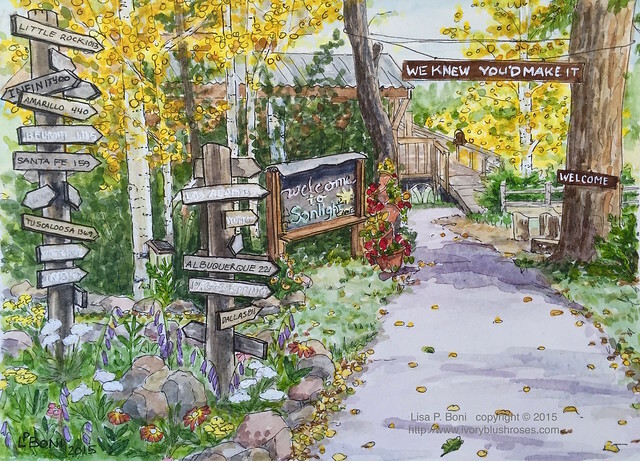 Up in the trees, the chickadees sang and played. 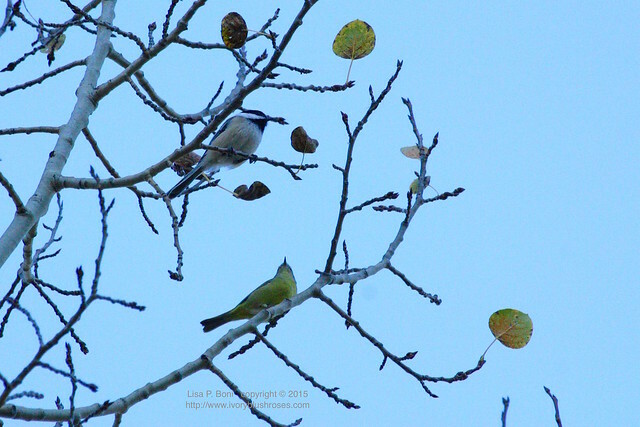 In this photo I think I also captured a goldfinch or some other type of warbler. I didn't even realize it was there until after I downloaded the photos! 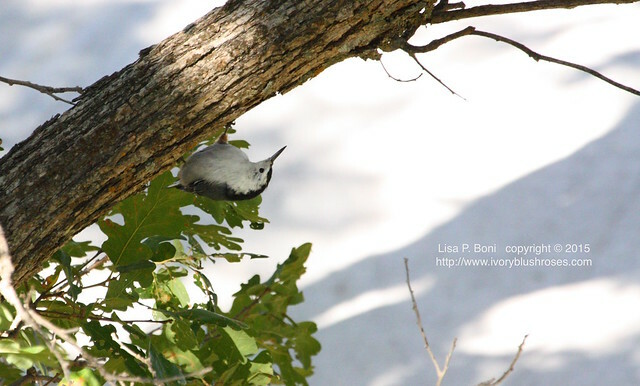 The silly antics of the White Breasted Nuthatch always make me smile! I love how they are as much at home when upside down as when right side up! 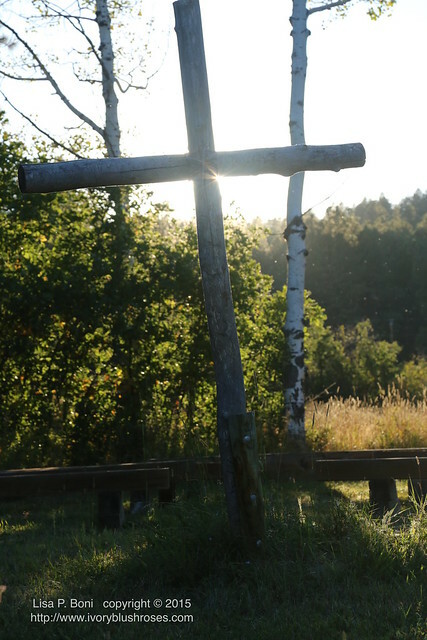 The evening sun setting behind the cross in the outdoor chapel. The perfect way to end my stay at Sonlight. It truly was a blessed time to have three glorious days there and to spend time with friends! 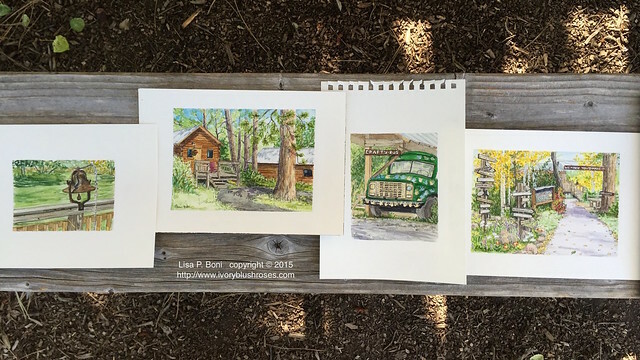 Such an honor and a privilege to be their "Artist in Residence" for a few days! What a wonderful little vacation. Great photos and memories of then and now. 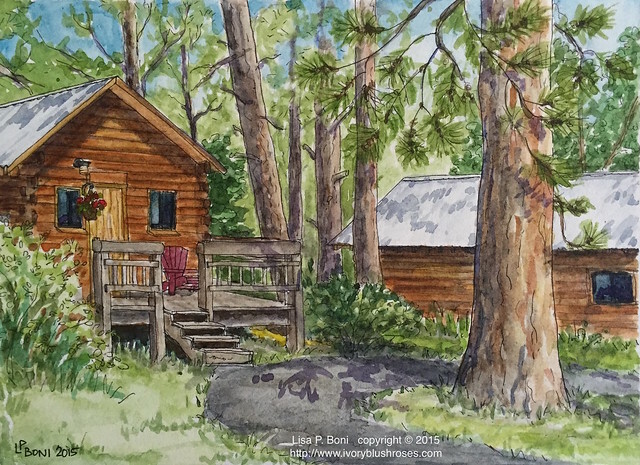 It looks like a very relaxing and beautiful place and your paintings are great, they capture the essence of the place so well. Thank you for sharing this trip with us. I enjoyed reading reading about it and especially the photos you took. You have a way of capturing the most interesting stuff. The weather rock cracked me up and I now have that on my list of things to add to my cutting garden. The last photo of the cross is beautiful. Thank you!